“It’s difficult to imagine the power that you’re going to have when so many different sorts of data are available”, said Sir Tim Berners-Lee, inventor of the World Wide Web. With this in mind, if we really want to empower citizens on the ground, we need to increase their access to data that is contextual, localized and connected to their daily lives. What we need is not just a centralised open data portal with massive datasets but an open data movement that is rooted in local context, satisfies the data need of local communities and facilitates engagement with the local government. 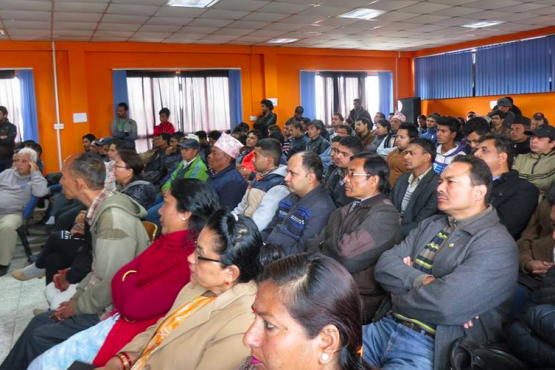 YoungInnovations (representing Open Nepal), Kathmandu Living Labs, Kathmandu Metropolitan City Office and Office of Member of Parliament Gagan Kumar Thapa have jointly launched Transparency and Participation Forum. 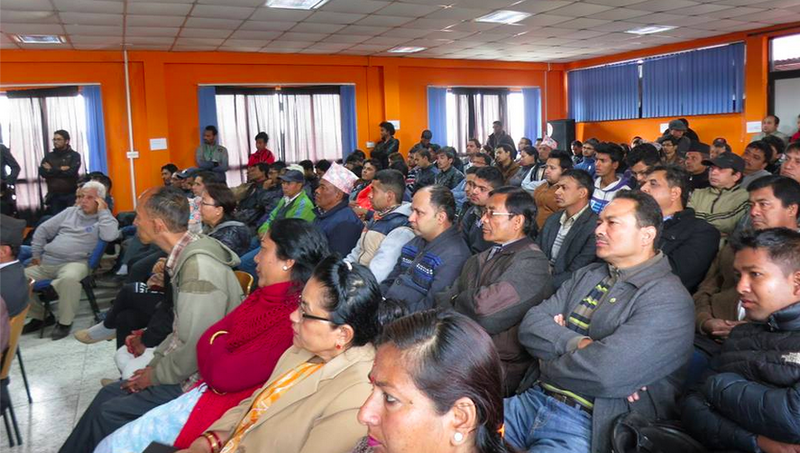 This is a pilot community open data forum for Kathmandu’s Ward #7, launched on 21 February 2015 as part of Open Data Day celebrations in Kathmandu. As the name suggests, it is more than just an open data portal, it is a forum to promote transparency of local government and facilitate civic participation. DI provided funding towards the development of this forum, as part of its InfoTEP programme. The core concept of this initiative is to provide local residents of Kathmandu Ward#7 with data and information about local government activities, resources and services in a single platform and encourage citizens to use them. It is a combination of both online and off-line interventions. Working with the local government, we have made available on the website relevant datasets that were demanded by the community (infrastructure development, revenue and taxes, expenditures, point of interests, etc.) and information (procedural information on services provided by ward offices, information about local government policies, etc) (www.model4g.net). The data and information are accessible in open formats and under open licenses and are used by citizens for various purposes. Often, they are used by citizen groups – such as local youth clubs, student groups – during their community meetings and social gatherings to validate their argument or get more in-depth insights into the issues that matters to their community. These community groups will then be in a position to provide constructive feedback to the local government. The website itself facilitates civic participation where citizens can raise their voices through dedicated mobile apps, mailing lists and interactive voice response technologies. A number of aspects make the initiative unique and contextual. First, it is a unique collaboration between the open data and mapping community, local government, citizen groups and policy makers. Second, it is about the process – the process of learning, creating value and ownership at the local level from a community angle rather than from a pure open data angle. Third, it is about building capacities of both local government and citizen groups so that both demand and supply side internalise the value that open data brings to them. Fourth, it is local – local language, local problem, local context, local solution and local partnership. Based on the preliminary success, we are adopting a two-prong strategy to take the initiative further. First, it is going deep into the existing pilot at Kathmandu Ward #7 and establishing a mechanism to sustain supply and demand of data working together with local government and citizen groups. Second, it is about replication and scale-up of the pilot in other areas as requested by other local governments, member of parliaments and communities. For a country like Nepal where open data is still not in the mainstream, this initiative is expected to lay a solid foundation for larger open data movements and prove that open data can generate impact! Open Nepal is a coalition of Nepali organisations, currently including Freedom Forum, YoungInnovations and NGO Federation of Nepal. DI supports and works with Open Nepal as part of our wider involvement with three national open development initiatives in Nepal, Kenya and Uganda.